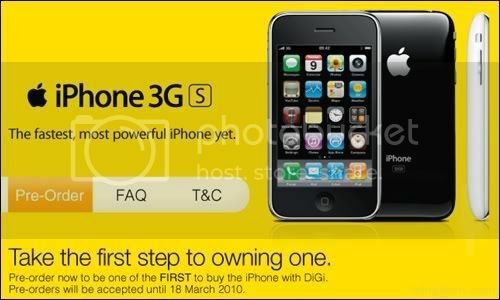 If you are not aware that tomorrow Mar 18, 2010 is the last day DiGi accepting the pre-order of Apple iPhone 3GS then please act fast. Pre-order now to be first to own one Apple iPhone 3GS to avoid disappointment. Please follow www.digi.com.my/iphone for latest updates on launch location, date, and pricing.